Your Future in Data Science begins here! The field of data science continues to develop into a steady and demanding career path. 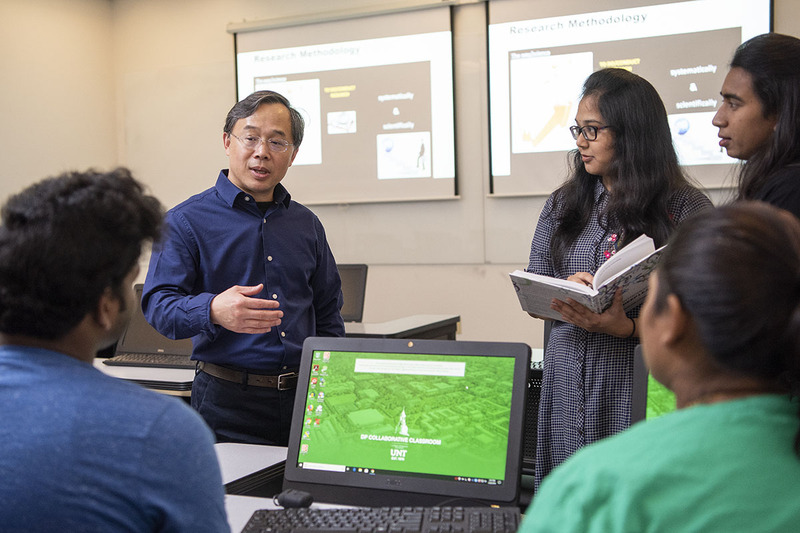 The Bachelor of Science in Data Science at the University of North Texas is designed to meet the rising demand for professionals in data management, big data, and data analytics fields. The program will prepare students for careers in data science with a broad knowledge of the tools, techniques, and methods needed to analyze and work with data and information to help drive effective decisions and strategy in organizations. Through relevant coursework, students will gain knowledge in key areas, including data management, data modeling, big data, data analytics, data and information visualization, information organization, internet applications development, and game design and technology. Students will acquire the types of skills, critical thinking, and competencies needed in data science and digital data management, as well as one of the professional fields. The program will educate a new generation of information professionals, particularly those students with an interest and background in science who are intent upon pursuing an analytic related field. The program offers the convenience and flexibility of online, blended and face-to-face classes, taught by experienced and knowledgable professors in the field. In recent years, data scientists roles have increased in importance as businesses realize the importance of collecting and analyzing data to make strategic decisions. Data scientists are curious individuals, with the technical skills to collect and analyze data from various sources, extract and organize the information, and communicate findings to answer questions and help in the decision-making processes. The job outlook looks promising for those in the data science field, with Data Scientist being named the best job in America for three years running, according to Glassdoor, one of the world’s largest job and recruiting sites.